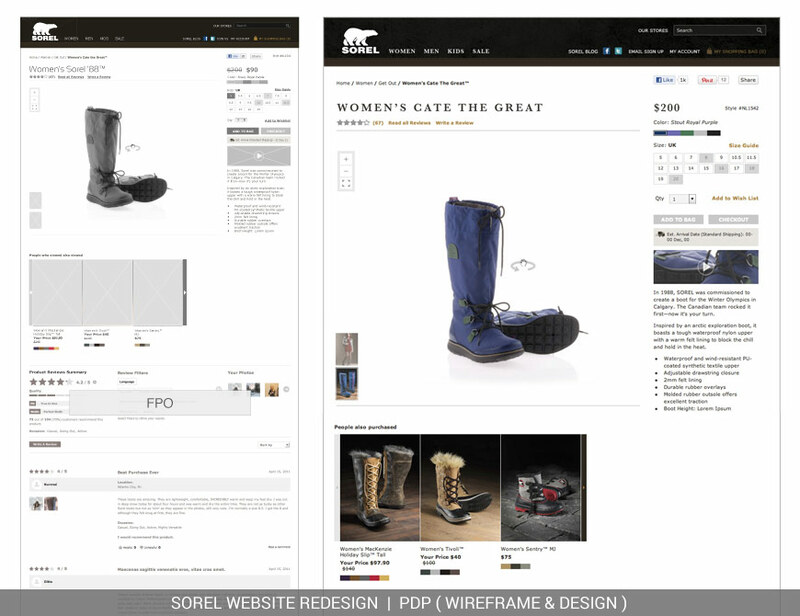 Traditionally, Sorel sold rugged outdoor boots, primarily to men. The boots lasted forever and one could buy new insoles, so there were not many repeat customers. 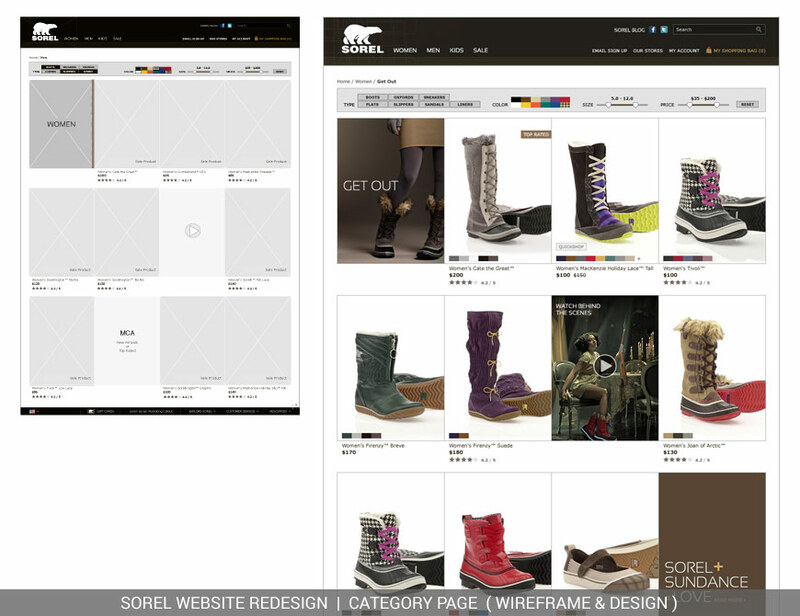 After Columbia acquired the Sorel brand, Columbia made a bold move to capture a more lucrative market. Columbia targeted women, re-positioned the brand as high-fashion footwear, and revamped the product line. 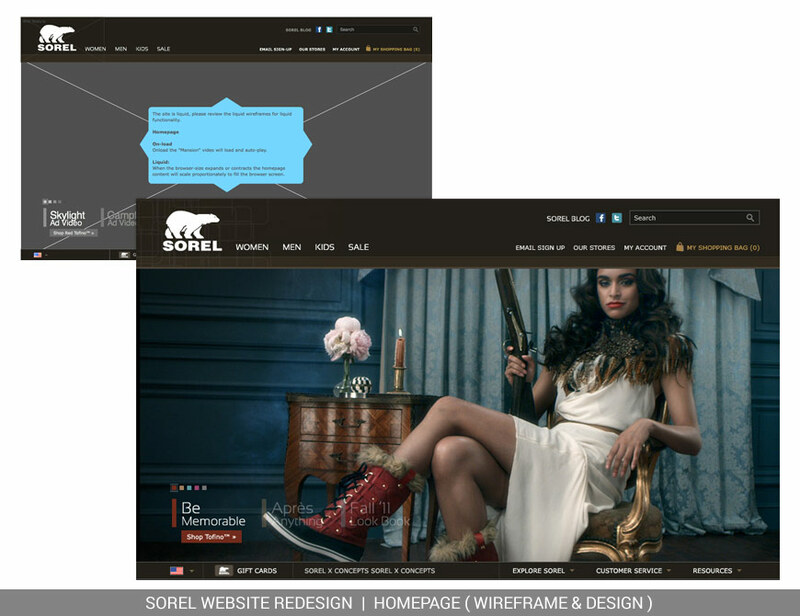 eCommerce’s job was to completely redesign the site to reflect the new brand strategy and user persona, and to make the site liquid. I was the key player on this project. 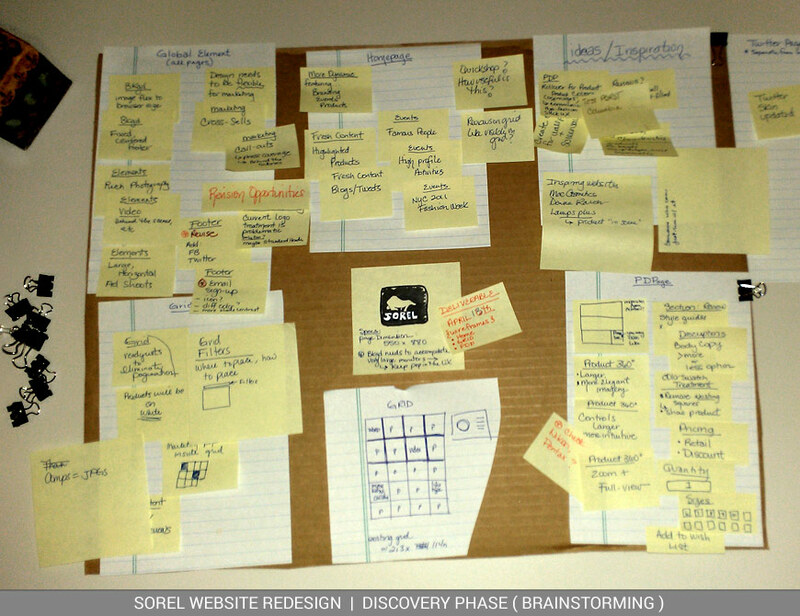 I handled research, planning, site strategy, and wireframing, and co-designed the site with a colleague. 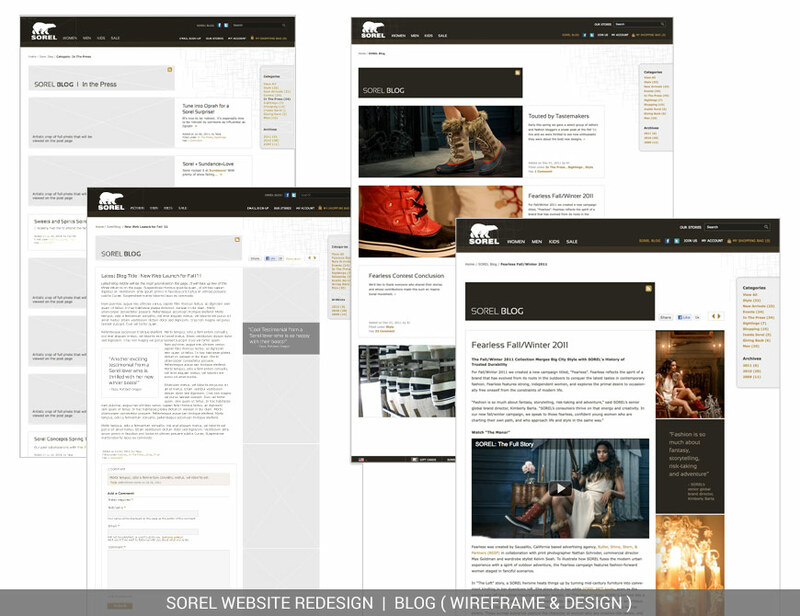 Throughout, I collaborated closely, frequently, with development, marketing, merchandizing, copywriting, and international. 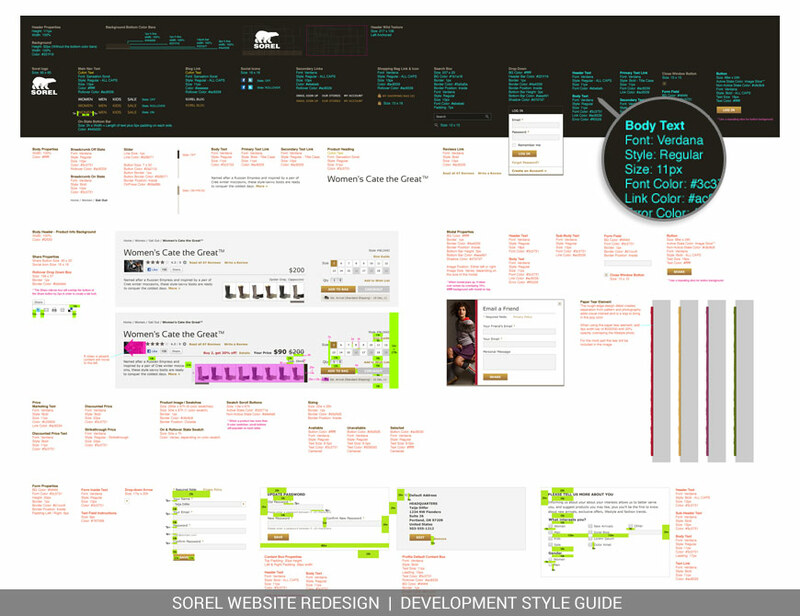 The new site was a big success. 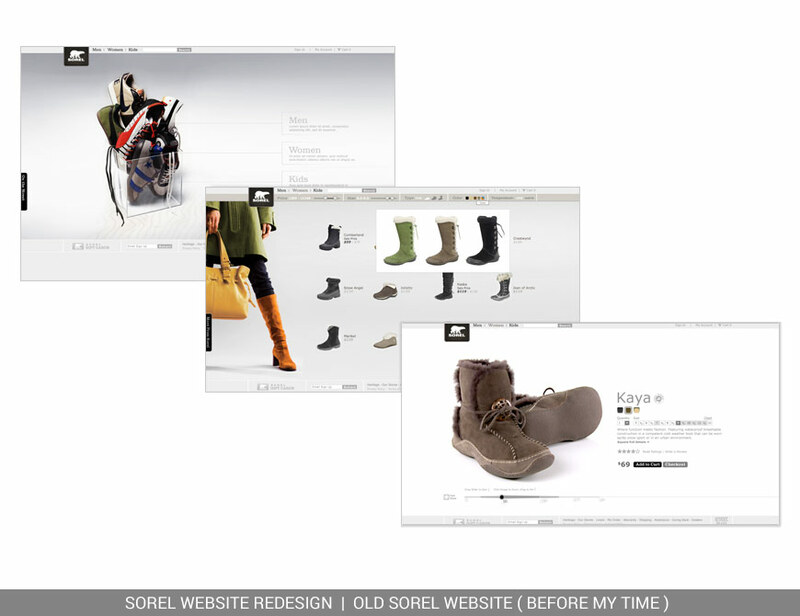 eCommerce first-quarter sales for the Sorel brand increased 126% and kept rising. 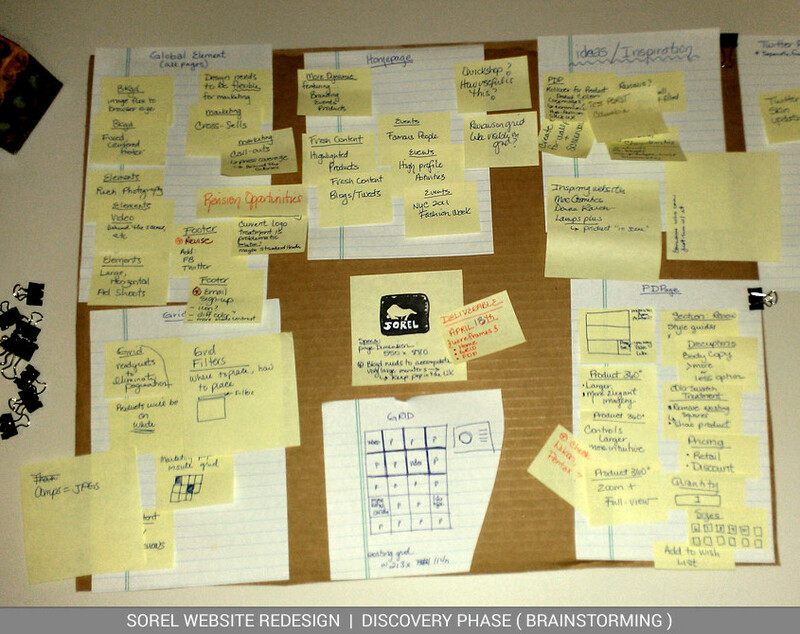 After this project, I became eCommerce’s website architect, and handled site strategy, functionality, layout, and wireframing for the eCommerce projects. Want to see more? Just ask.